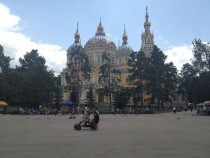 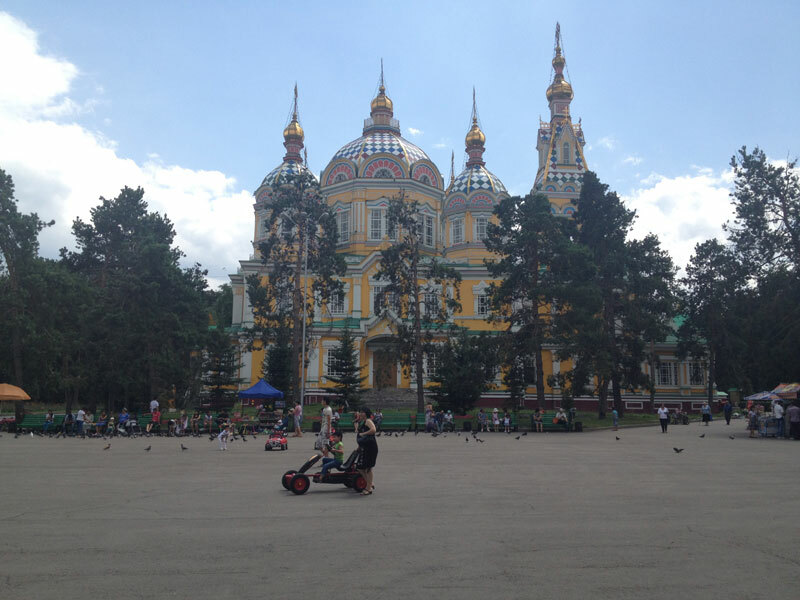 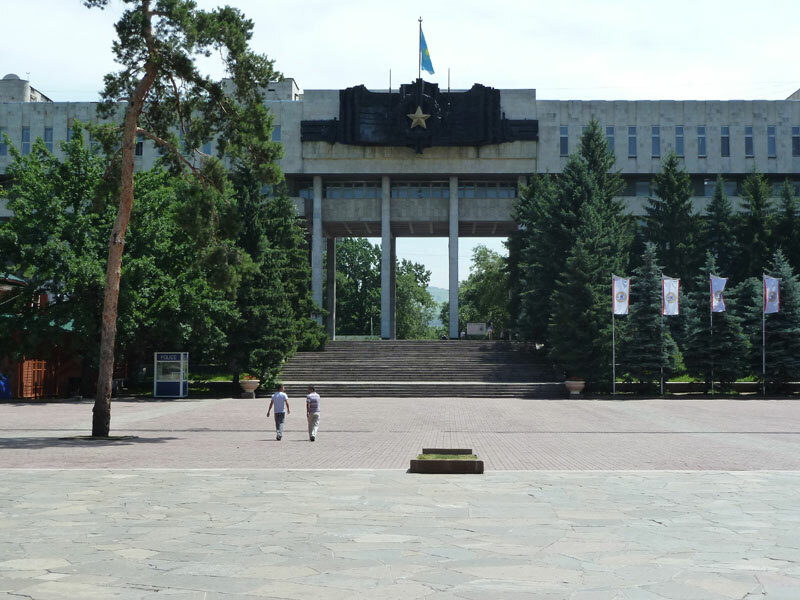 Panfilovets’ Park is located in central-east Almaty in the area surrounding Zenkov Cathedral. 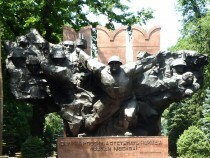 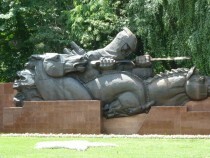 The park is dedicated and named after the Panfilov Heros. 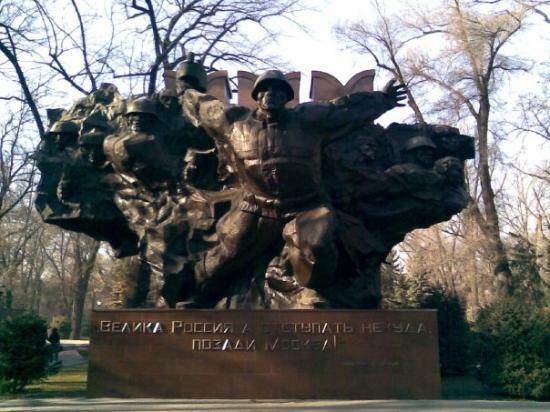 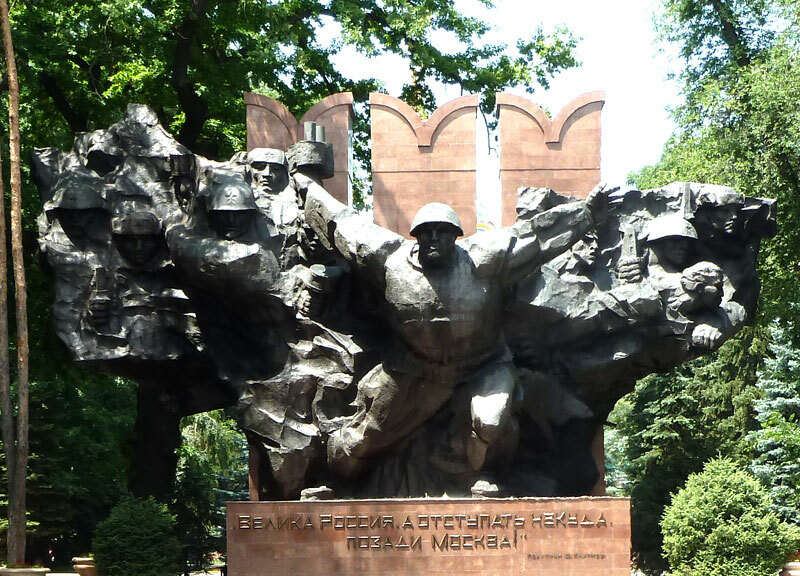 The memorial in the park is in memory of the 28 soldiers of an Almaty infantry unit who died fighting the Nazis outside Moscow. Ivan Panfilov was the name of the General commanding the 316 division who, in spite of suffering heavy casualties, managed to significantly delay the enemy’s advance on the capital, buying time for the defenders of the city. 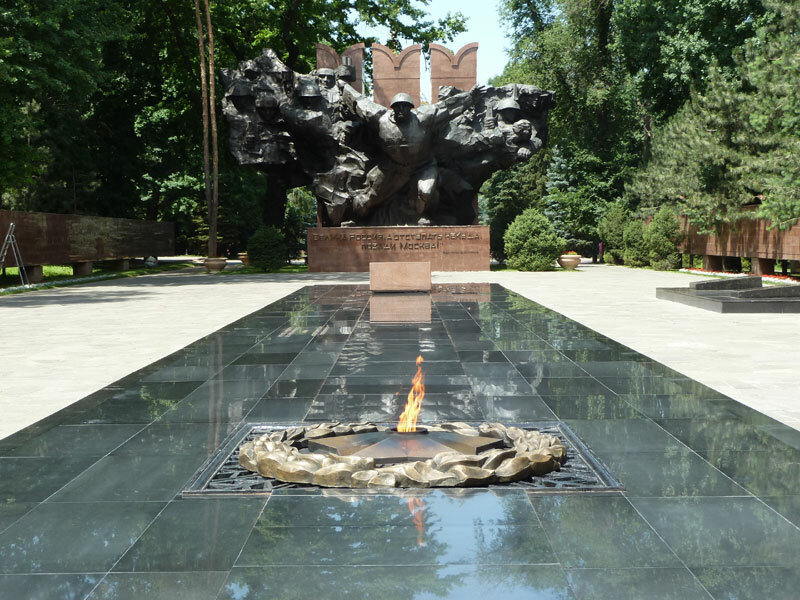 An eternal flame commemorating the fallen of 1917-20 (the Civil War) and 1941-45 (WWII), burns in front of the giant black monument of soldiers from all 15 Soviet republics. 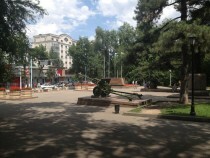 The Park itself is a very popular local green area within the city of Almaty. 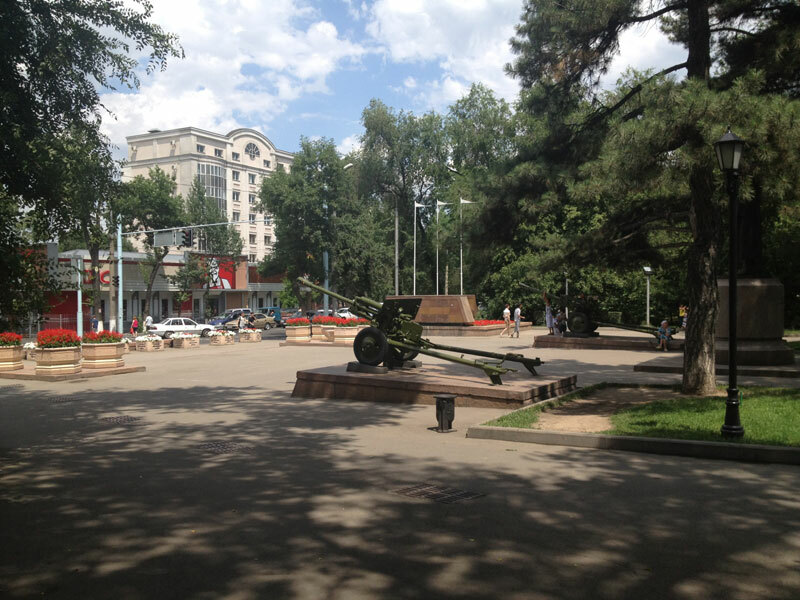 A good place to sit, rest and contemplate the sights of the city.